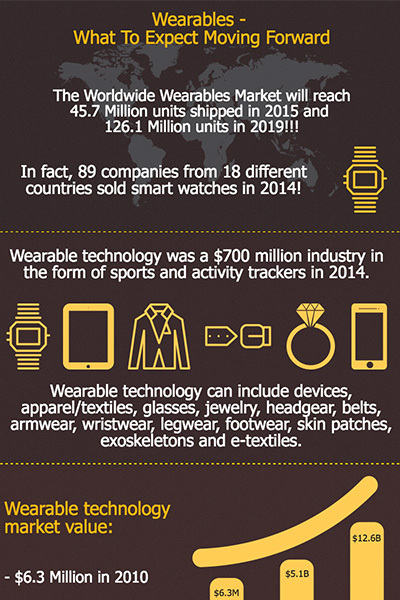 The Wearable’s market is expected to reach $12.6 billion by 2018 globally. This rise in technology innovation spans a variety of industries and verticals and will continue to grow and expand moving forward. Download our latest infographic and learn how the Wearable’s market is expanding globally and what new innovations are on the horizon.